Run the streets without actually running. 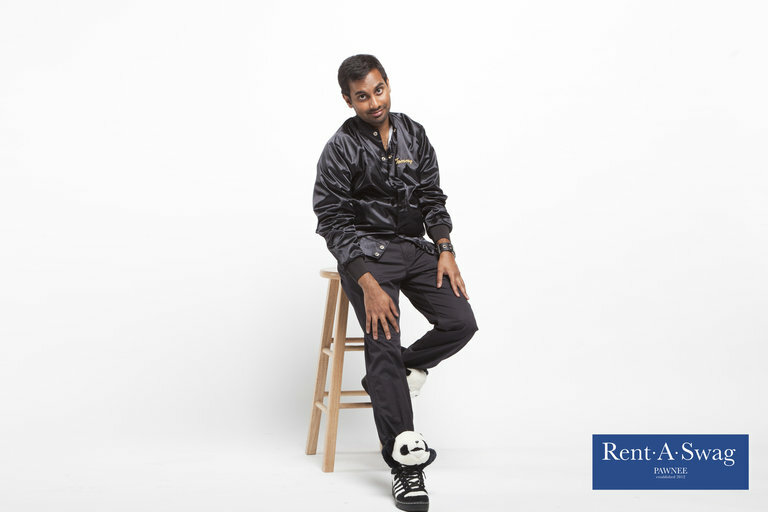 Whether you're actually into running or just enjoy the athleisure trend, Tom Haverford and I got you covered with a look so dashing you'll be the star of the track team. It can be metaphorical. As always, Tom Haverford provides a look that is meant for me to style hack. So ditch the track pants and practicality, because we're doing track couture. Both of us aren't the athletic types but that doesn't mean we can't look the part. Or, at least carry the swag for it, and take selfies from the bench. All it takes is a few key pieces. 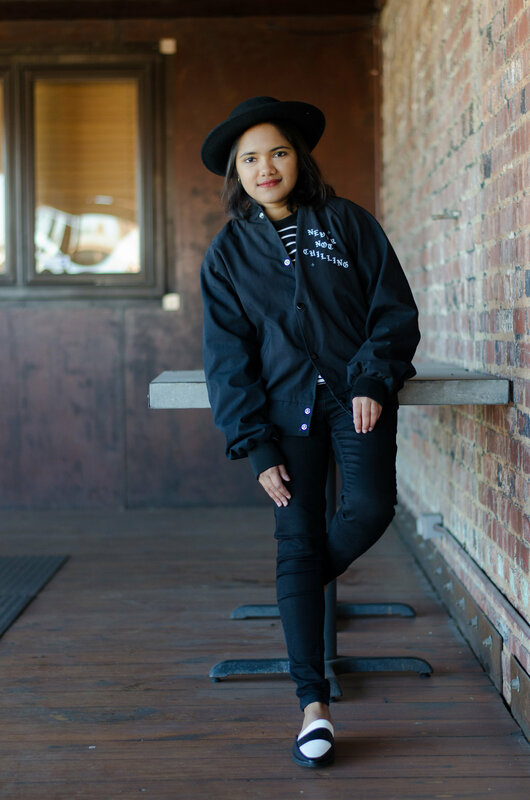 The most essential piece is a good black jacket. Not a track jacket, but a bomber jacket that punches someone in the mouth when you turn around. Whether it's a scorpion or tongue-in-cheek phrase printed on the back, keep everyone guessing if you're actually in a gang or not. In my case, I'm the leader. Don't even try another color. Black is classic, rugged, and the only way to go. Forget those colorful track suits. This isn't the 80s, we ain't trying to be tacky. If Tom can tell us anything, it's that the sneaker you choose needs to make a bold statement like ones with pandas attached to them. While I couldn't find a pair of pandas to strap to my sneakers, I opted for a classy backless loafer in monochrome. Let's face it, I won't be running anywhere.